University of Lagos, UNILAG Diploma in Biomedical Engineering Technology programme admission form for the 2013/2014 academic session is on sale. 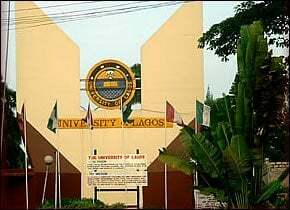 The University of Lagos (UNILAG), Human Resources Development Centre (HRDC) invites applications from suitably qualified candidates for admission into Diploma in Biomedical Engineering Technology programme in the Department of Biomedical Engineering, Faculty of Basic Medical Sciences, College of Medicine, University of Lagos. DURATION: The duration of the programme is one academic session (two (2) Semesters). Credit passes in five subjects at WASSCE level or its equivalent, at not more than two sittings which must include ENGLISH LANGUAGE & MATHEMATICS and any of Physics, Chemistry or Biology. TRS GRADE II CERT. OR NATEB with knowledge of Electrical/Electronic with the requisite academic qualifications. Holders of this certificate who satisfy condition (a) above will be given preference. Matured candidates of 30 years and above and company/hospital sponsored candidates with relevant working experience in Electrical/Electronic such as Armed Forces, Police Force, Prison Service, Hospital Technicians etc, whose organizations stand to benefit from the programme can also apply. Log on to the HRDC website: hrdc.unilag.edu.ng and click the 2013/2014 application link. Click the pre-application link to generate a Reference Number. Use the Reference Number to pay the N7, 500:00 (Seven Thousand, Five Hundred Naira) Application Form Fee at the UNILAG branch of any of the following banks: Wema Bank, Eco Bank , Access Bank or First Bank of Nigeria PLC. After payment, return to the HRDC website: hrdc.unilag.edu.ng. Click the ‘Continue Application’ link and log in with Payment Reference Number as username and surname (in lower case) as password. Fill the Application Form and upload digital passport (JPEG format). The acceptable dimension is width: 235 pixels or 35 mm and height: 314 pixels or 40mm. Print and submit a copy of the completed Application form at the HRDC Secretariat. Please note that if payment is not made within five (5) days of obtaining the Reference Number, the pre-application would be declined. Completed application form should be submitted at the Human Resources Development Centre (HRDC), University of Lagos not later than August 15, 2014. COURSE FEES: Tuition fee is N50, 000.00 and Course Material fee is N 10, 000.00. PAYMENT PROCEDURE: Tuition and Course Material Fees are payable to the Human Resources Development Centre, University of Lagos, using theHRDC Students Bank Teller which is available at the University of Lagos branch of Wema Bank, Eco Bank , Access Bank or First Bank.